Saudi Arabian Mining Company (Ma’aden) said one of its subsidiaries, Waad Al Shamal Phosphate, has started commercial operation of its diammonium phosphate plant located at Ras Al Khair city. 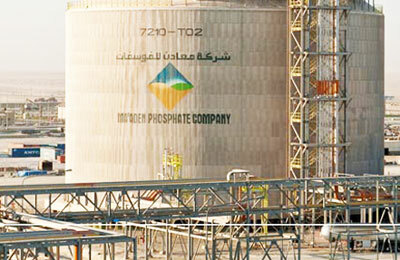 Waad Al Shamal Phosphate is 60 per cent owned by Maaden, while 25 per cent of the stake lies with The Mosaic Company and the rest with Saudi Basic Industries Corporation (Sabic). Announcing the launch of its commercial operation, Maaden said it will work towards gradually boosting the plant's annual production capacity to 3 billion tonnes. The plant began operation on Saturday (December 1), the company said in a statement to the Saudi bourse Tadawul.